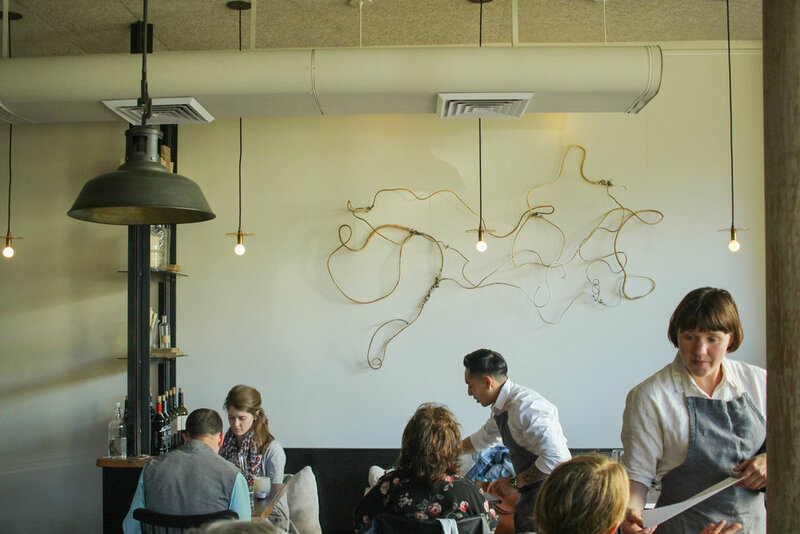 Melissa Perello, a native San Franciscan, has opened another Michelin star restaurant in her city by the bay. Nestled on the corner of Octavia and Bush, Octavia comfortably fits in the Pacific Heights neighborhood. 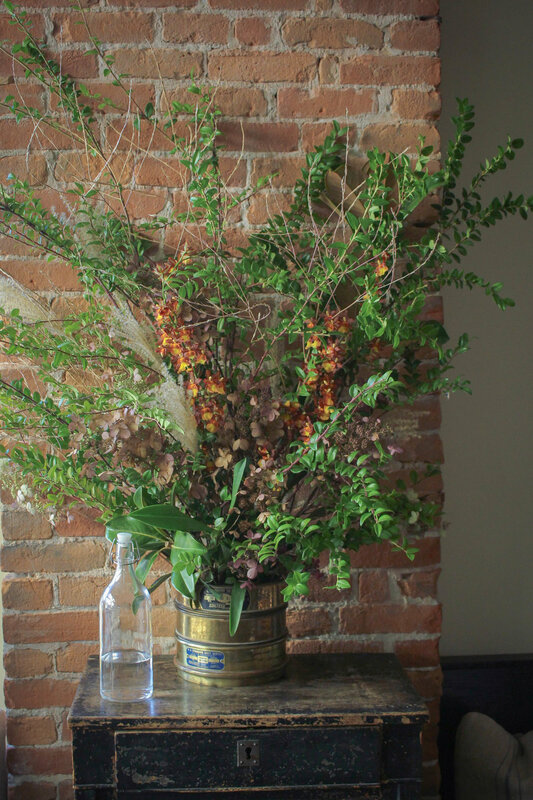 As both the chef and owner of Octavia, Perello applies her vision of using exquisite, local ingredients to elevate “simple” dishes in her chic bistro. Octavia offers several dining options at this dinner-only establishment. Many choose the $75 tasting menu, but we chose from the a la carte menu. Personally, I like to select the menu items that appeal the most to me, unless I am dining omakase. We started our meal with the “deviled egg” - arguably the most instagram-worthy item on the menu. True to the parenthesis around the name, this egg was not the bisected, hard yolk, mayonnaise filled deviled egg as we expected. 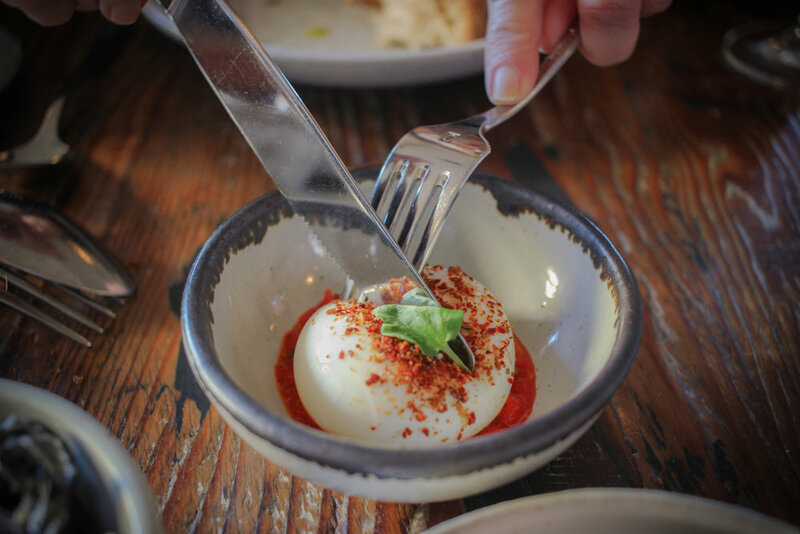 Instead, the waiter served one soft boiled egg topped with corno di toro relish, marash pepper and spice. Cutting into the egg, the runny yolk oozed out, which made for a perfect condiment to the housemade bread. The bread baked at Octavia is Tartine-level delicious, and my favorite thing we tried. We even ordered an extra serving of the bread! I have a soft spot for sourdough bread baked to perfection and served hot with a side of verdant extra virgin olive oil and flaky sea salt. Next we shared the chilled squid ink noodles. 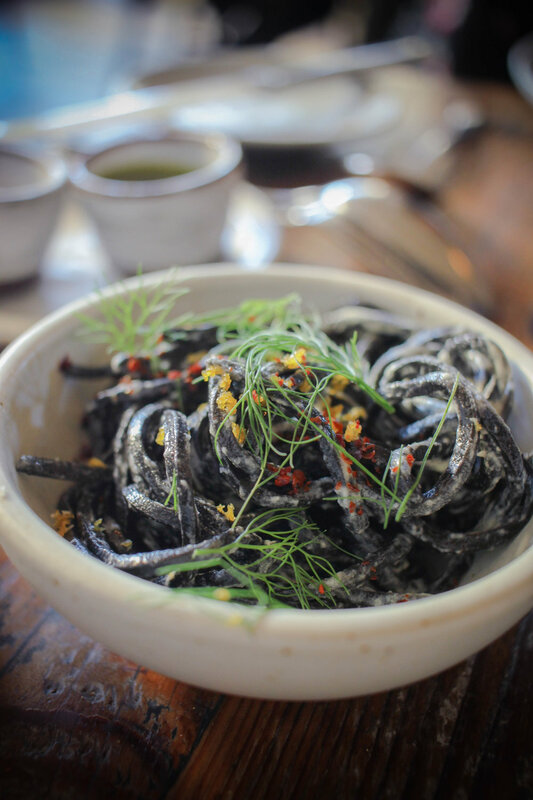 The blackened noodles came topped with cortez bottarga, fennel fronds, and lemon agrumato. We then shared the ultra-seasonal heirloom tomato salad with fresh mint, snap peas, black sesame seeds, and quinoa. Though tasty, this dish failed to present a new and exciting flavor combination. When I go out to eat, I want the chef to inspire me and perhaps excite me into adding a new flavor or ingredient to my boudoir. Contrary to the tomato salad, the squash soup delighted and surprised me. 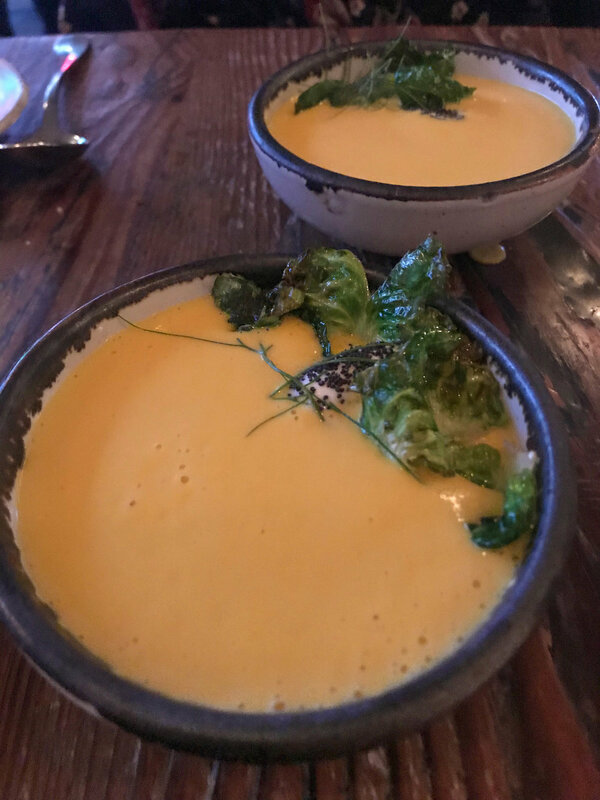 Our waiter poured the creamy soup over creme fraiche, candied kabocha, poppy seeds, and brussels sprout leaves. The sweetness from the kabocha likened this earthy winter soup and a savory dessert. We finished our meal amidst a wave of celebratory birthday cakes coming through the kitchen. As one of six groups celebrating a birthday in this 55 seat restaurant, I realized that we made the right decision to dine at this special spot for a birthday celebration.